The Doctor Who Christmas Special has become as traditional as wearing a paper crown while lighting the Christmas pudding. We’ve come to expect the Doctor Who Christmas Special to bring a bit of holiday cheer. Yet, “The Return of Doctor Mysterio” wasn’t particularly Christmas-y, nor was it very cheerful. Despite a lack of Christmas spirit, “The Return of Doctor Mysterio” delivered with humor, nostalgia, and even a little romance. Nardole, a character from the previous special, remains with the Doctor because, as he reminds the Doctor, “you were worried you’d be lonely, and we both know why, don’t we?” River was destined to meet her end on Darillium and it’s River that the Doctor mourns now, noting, “Everything ends. And it’s always sad.” The split-faced villains of the Shoal of the Winter Harmony have also made a return, with the goal of taking over the earth. For a planet that supposed to be protected, the Earth sure gets invaded a lot. The Doctor has a run in with a boy named Grant (Logan Hoffman), who ends up with a “cough with a slight case of levitation” after swallowing the gemstone known as the Hazandra (the Ghost of Love and Wishes). The Hazandra gives the comic-loving boy superhero powers. The Twelfth Doctor (Peter Capaldi) has been known to be brusque with children, but his warm, somewhat bumbling interaction with young Grant is reminiscent of the Eleventh Doctor. The Doctor’s periodic visits with Grant don’t keep him from eventually using his powers. 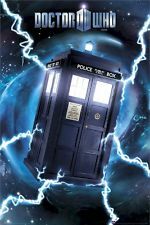 Steven Moffat integrates a superhero into Doctor Who, but fails to create a fresh perspective on the comic book genre. Don’t expect any transformative storytelling as you might from a series like Mr. Robot, Stranger Things, or Supernatural. Instead, Moffat creates an homage to the Superman comics and movies- replicating scenes (the roof date), dropping references (mild-mannered), and recreating landmarks (Harmony Shoal building resembles The Daily Planet). Moffat examines the relationship between Grant/the Ghost (Justin Chatwin) and journalist Lucy (Charity Wakefield), with a nod to Kent Clark and Lois Lane. Adult Grant is far more pathetic than Kent Clark, which the Doctor helpfully points out. Despite this, Lucy somehow manages to suddenly fall for Grant, a man she has known since elementary school, when she thinks he has a date. This episode may give false hope to millions living in the friend zone. “The Return of Doctor Mysterio” focuses more on the romcom relationship between Lucy and Glenn, than the alien takeover. The Doctor even leaves it to Osgood and UNIT to clean up the mess. Giving so much screen time to Lucy and Grant works pretty well since, as the Doctor points out, aliens have tried to conquer the Earth many times before. What worked well in “The Return of Doctor Mysterio” were the characters. With all the lady companions that have been swept off their feet, it’s refreshing when the Doctor is challenged by a strong and perceptive woman. It’s an added bonus that the Mr. Huffle interrogation scene was uniquely hilarious. Yet, Lucy is still a woman swooning over a heroic figure, it’s just that the hero is the Ghost not the Doctor. Maybe this Lois Lane/Clark Kent revamp would’ve worked better if Lucy was the Ghost. Nardole provides some additional comic relief, which leaves us looking forward to his future appearances in Season 10. Peter Capaldi continues to prove why he was an outstanding choice to play Twelve. His strong presence and acting ability overcomes the weak writing sometimes present in the series. Capaldi may be the best Doctor yet, with his ability to convey the Time Lord as threatening, weary, playful, compassionate, funny, or some combination of these traits. “The Return of Doctor Mysterio” was a fun standalone Doctor Who episode, though it would have benefitted to a stronger connection to Christmas than the Doctor being mistaken for Santa in the opening scene. New York is beautiful at Christmastime and would’ve provided a terrific backdrop for more of the episode. “The Return of Doctor Mysterio” played up its comedic moments, making it accessible and fun for the millions watching the Doctor Who Christmas Special with friends and family. How do you keep a Christmas timeslot in your pocket? Skills.